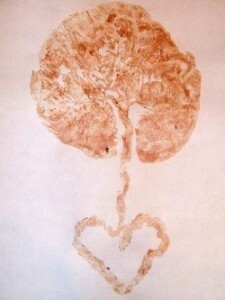 In addition to the medicinal uses, I use the placenta to capture a beautiful and unique print to celebrate your new miracle of life. Most people don’t know that that umbilical cord and vein structure attached to a placenta make this amazing design, often referred to as the “Tree of Life”. The cord that supplied all your baby its nutrients from the placenta acts as the trunk. Then when it meets the inside of the amniotic bag the veins branch out like limbs of a tree. This beautiful “Tree of Life” image is a wonderful tradition of honor and gratitude toward birth when pressed upon acid-free paper. Each placenta makes its own unique imprint. I would be happy to do this print for you and your baby before the encapsulation process begins. Many families choose to frame them and display their prints as art. Others choose to save them as personal keepsakes. Either way, it is a great piece of memorabilia! The cord that connected your baby to your womb during pregnancy played a key role in delivering nutrients and essential blood to your baby during gestation. Your baby’s umbilical cord can be dried and preserved in a heart, spiral, or ring shape to serve as a memento of the birth and the mother-baby connection. This is the perfect way to treasure the umbilical cord and to keep it for a lifetime. 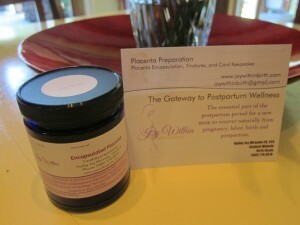 I include this serve for free as part of the placenta encapsulation process. Without the capsules, this services is $10.00. Placenta Tincture is used like a homeopathic therapy. It is made by taking part of the fresh placenta and blending it with a 95% proof drinking alcohol (food grade). This mixture is stored in a glass jar for 6 weeks in a cool dark environment. The final product is made by straining off the placenta solids. What remains is a very potent tincture of placenta in the alcohol. The tincture may help quicken the healing process in the postpartum period, and be particularly beneficial in helping prevent postpartum depression. 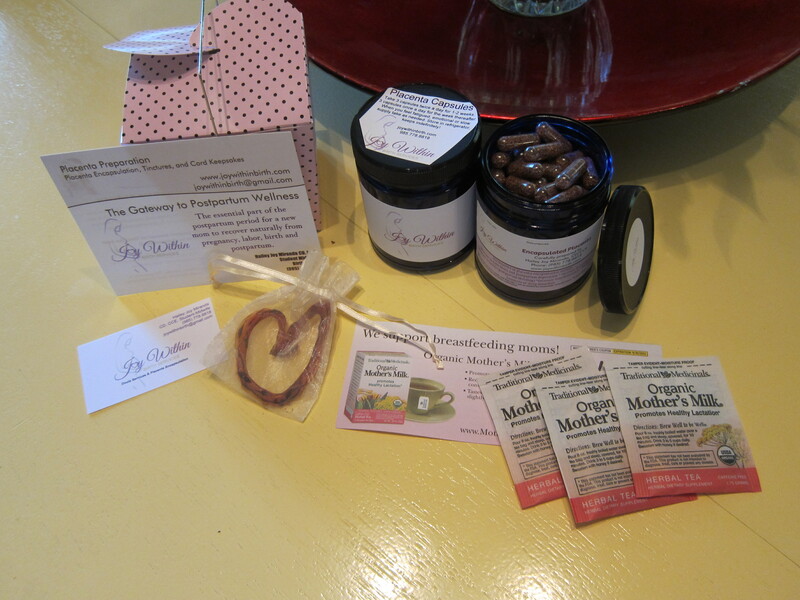 The tincture is also given to women with who struggle with menopausal problems. It may help prevent hot flashes, palpitations and mood swings. It can also be used to soothe baby in times of distress. You can also add the tincture to a base, such as Bach’s Resuce Remedy cream or Five-Flower ointment. Placenta Tincture should last indefinitely if kept in a cool, dry place. Suggested dosage is 10-40 drops in water two to three times a day. To learn even MORE about the amazing placenta please see the appropriate section on my Resources page!